There are a lot of steps involved in buying a new vehicle, and at Owen Sound Volkswagen, we aim to exceed your expectations. 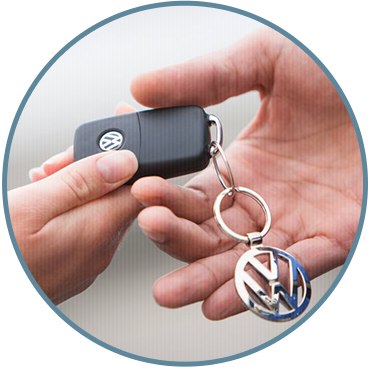 This means providing a great selection of affordable and flexible financing solutions on both our new and pre-owned Volkswagen vehicles. We believe in providing value to our clients, which is most evident at our financing department. First, we help you choose between leasing and financing, followed by the option of picking from a range of affordable and flexible solutions. You'll be surprised at how you can still get the best value for your vehicle without having to compromise on quality at Owen Sound Volkswagen. Our team of financing experts will work with you to help you decide on the financing or leasing option that is best for your lifestyle. We'll take the time to understand your needs and budget, and match our financing plans to your needs. At Owen Sound Volkswagen, your satisfaction is our ultimate priority. You can start your financing application online, or contact us today to learn more about our financing and leasing offers at Owen Sound Volkswagen.